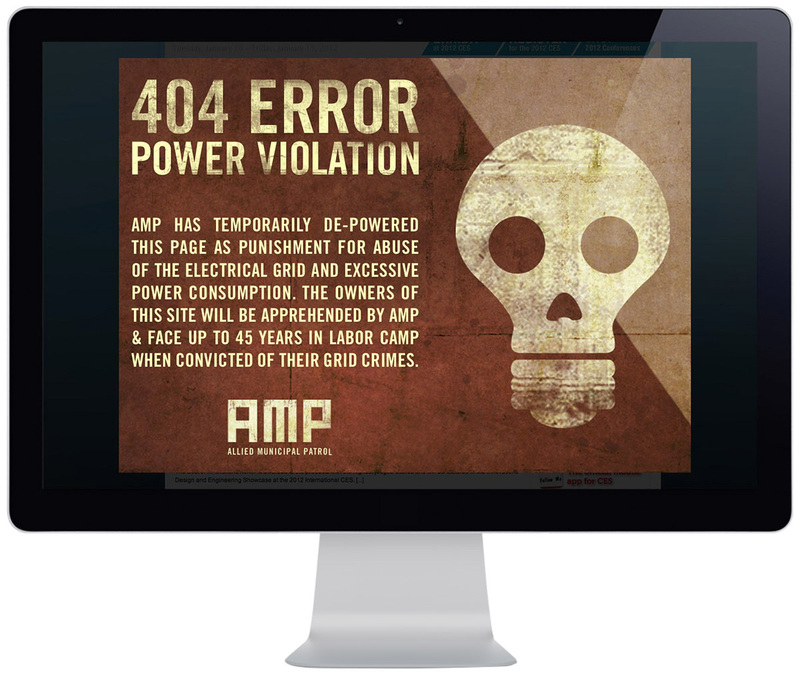 We proposed a digital and social campaign called "AMP", named after the secret police who enforce the laws that govern the city's most precious resource - ELECTRICITY. 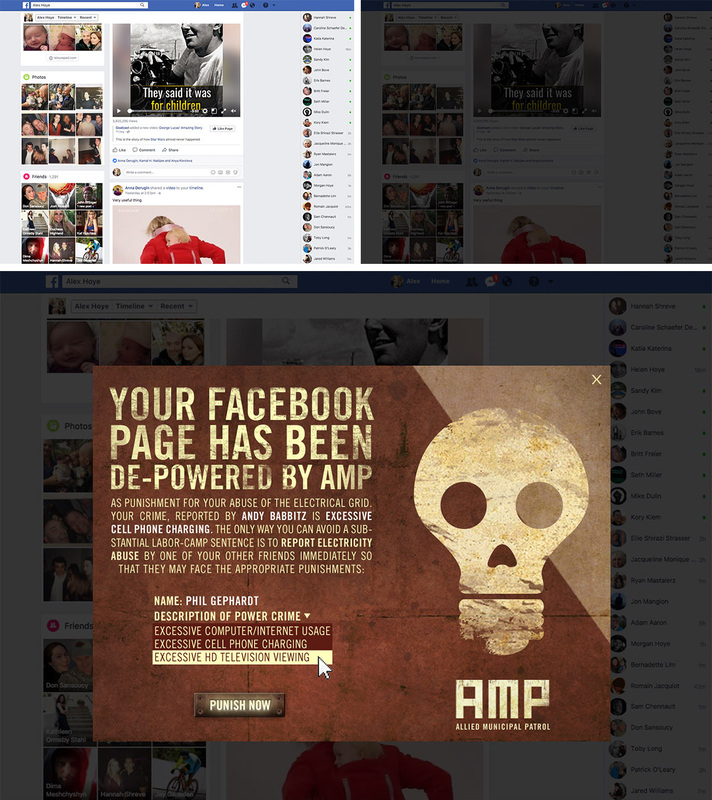 The "AMP" campaign is grounded in mysterious PSA's which make shocking threats to the public about conserving electricity and use a propaganda-inspired design to communicate their message. Like the show itself, the campaign naturally lends itself to ideological conflict and debate among fans, and we let this drama play out in the real world and online through social media. 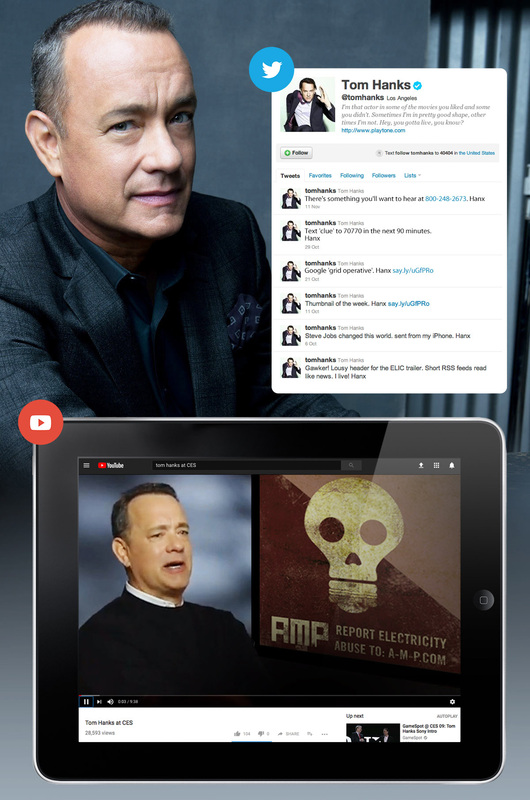 It all starts with, Electric City creator, Tom Hanks sending out ambiguous and cryptic messages on social media that direct users to various online clues and to AMP.com. He also speaks onstage at CES where an AMP Poster is featured behind him. When asked during a Q+A session after the discussion about the poster, Hanks addresses his involvement with this project/group that sets people abuzz on Twitter. Hashtag #TheNewPower, a reference to the resistance group in the Electric City narrative is born. 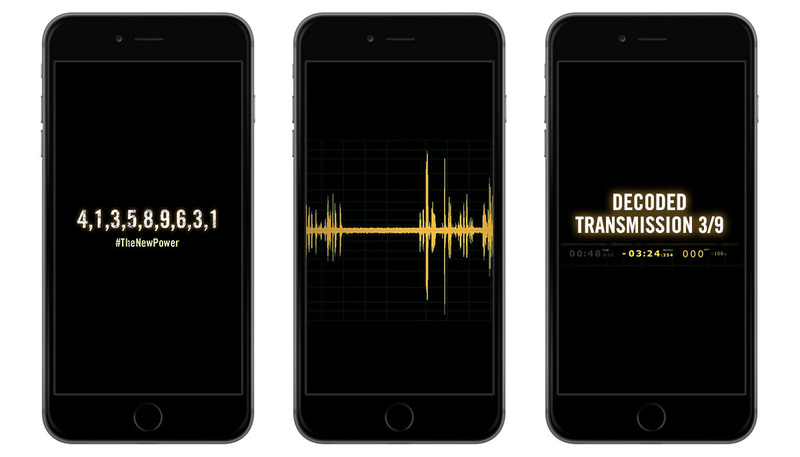 By following social media, users begin to discover mysterious content including audio files, decoded text messages, and numeric codes that reveal more about Electric City. On CES.com, DeviantART.com, Sundance.com and Yahoo.com, pages are 'de-powered" and replaced with a mysterious 404 message from a group called AMP. Same goes with AMP G4 TV promos (e.g., Emergency Broadcast Style). Soon, seeded and organic chatter via fanboy forums and blogs like Crunchy Roll and Anime Forum start buzzing. 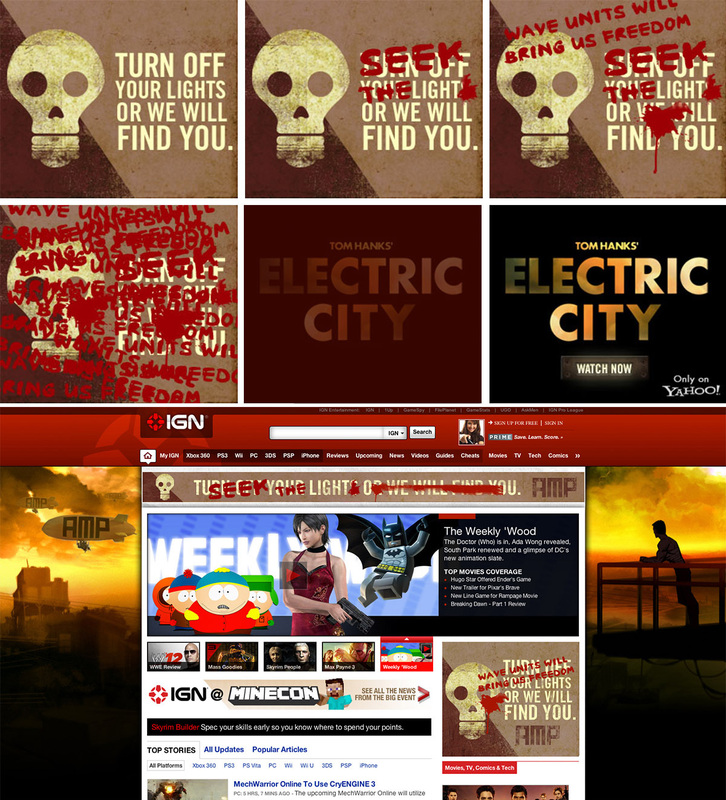 Eventually, banners transition from generating mystery to driving users to watch the preview. 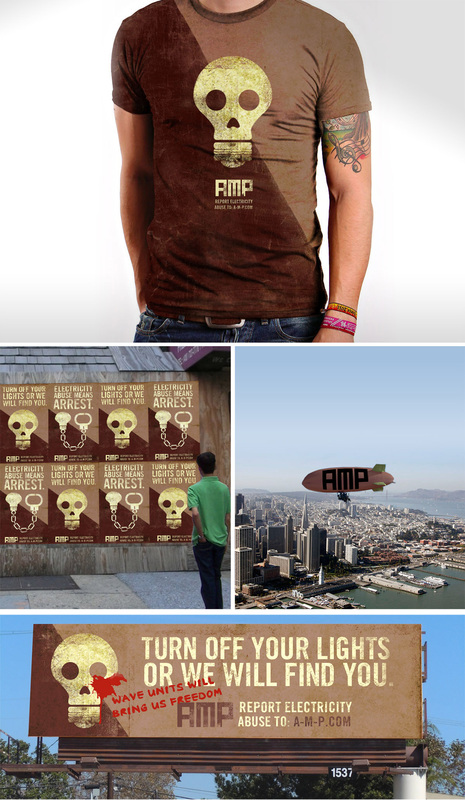 A variety of promotional materials are created that include t-shirts, wild postings, stickers, and billboards. Similar to the 404 page takeovers, we allow users to prank/punish their friends on Facebook by "de-powering" them temporarily. 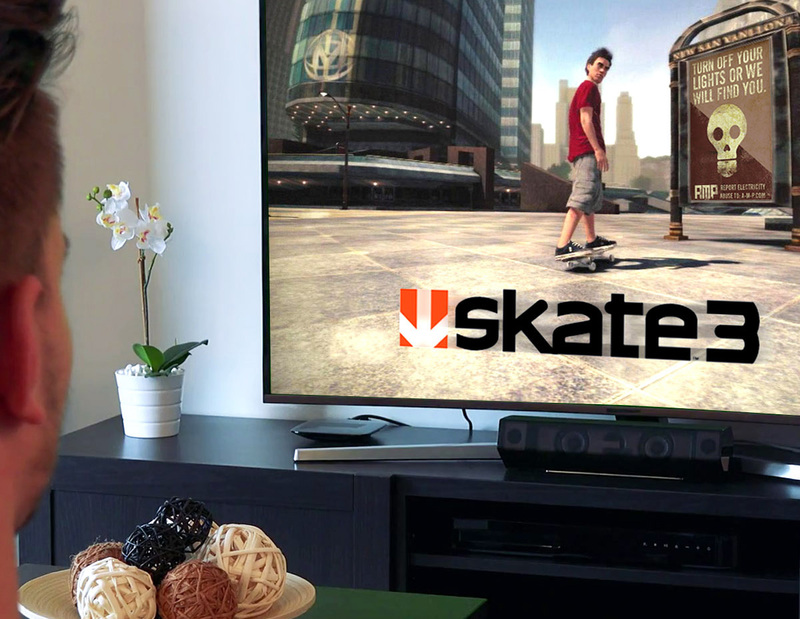 Partnering with game publishers like EA, we promote Electric City through video games such as Skate 3. 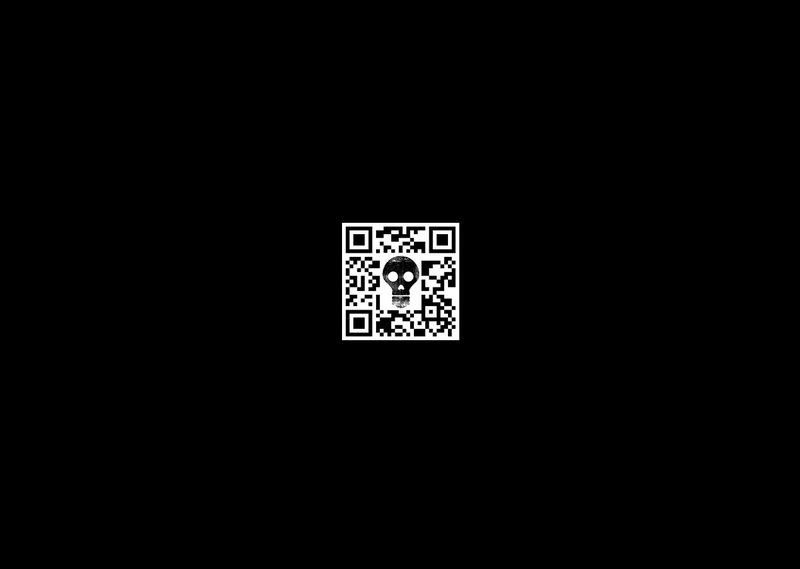 By leveraging our cryptic icon, we create a custom QR code that stands out.